What are a few recording tips and FAQs for all users in Practice? Be mindful of your lighting--make sure we can see you! When I record a video, what happens when I select “Try Again”? Who will see these Practice Attempts? Once you select “Try Again”, your video will be discarded. Nobody will be able to see the contents of that video (even yourself). Only once you are satisfied with your recording and submit to the Prompt & Response Stage, will it be available for review by your Peers and/or Instructor/Manager. Connecting to high-speed internet. Test your speed at Speedtest. Upload speeds of at least 2 Mbps are required. However, the higher the speed, the faster the upload. Compressing very large files. Learn how to compress a video. When I record a video, why am I getting an upload error (on mobile)? When uploading your video via the Practice App, please be sure to keep your device “awake” during the entire uploading process. Allowing the device to “sleep” can disrupt the uploading and cause an upload error. Be sure to check your SPAM/Junk/Clutter folder and add the domain practice.instructure.com to your safe-sender list. If you run into any issues while completing the Exercise, please reach out to the Practice Support team. 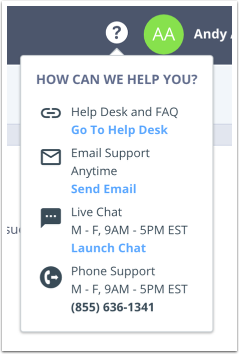 They can be reached from within the platform using the Help icon as well as via email at support@practice.xyz. Additionally, self-help articles can be found within the Practice Knowledge Base. Previous Topic:How do I compress my video as any user in Practice? Next Topic:What is Practice (for all users)? Table of Contents > FAQ > What are a few recording tips and FAQs for all users in Practice? What is Practice (for all users)? How do I compress my video as any user in Practice?